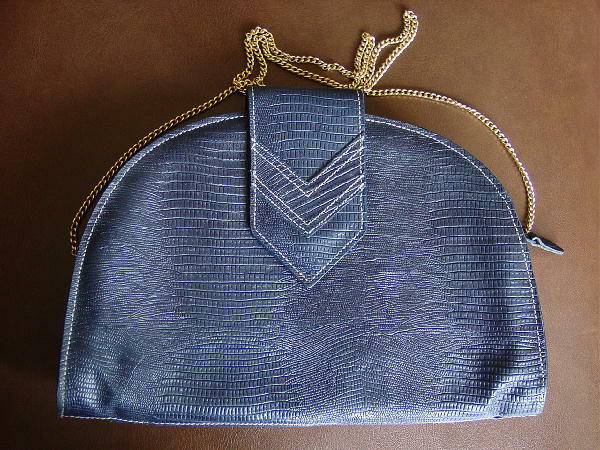 This navy blue Jennifer Moore purse has a faux lizard pattern and is in an arch shape. 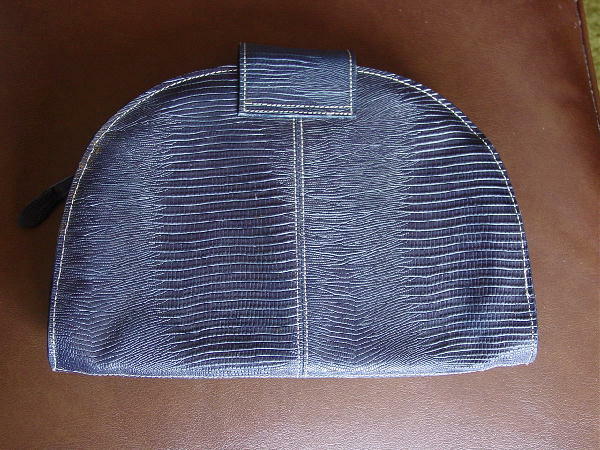 It has a side to side top zipper, a dark blue fabric lining, and an interior zippered compartment. There is an arrow shaped 3" wide front flap with a magnetic closure. It has decorative white stitching and a gold-tone 43" long link chain shoulder strap. There is a small age discoloration spot on the lower left portion of the front flap. It was used in a photo shoot with the Nordstrom navy blue embossed lizard pattern belt.